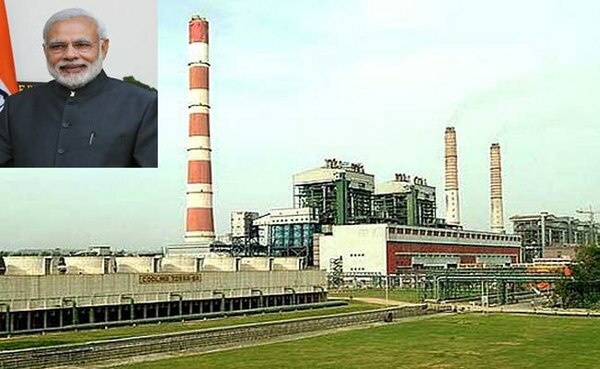 PM Narendra Modi will lay the foundation stone for the first phase of NTPC’s Telangana Super Thermal Power Project (STPP) tomorrow after inaugurating the state government’s flagship piped drinking water project at Gajwel, the constituency represented by Chief Minister K Chandrasekhar Rao in Medak district. NTPC will establish the project in two phases, 1600 MW (2x800MW) in Phase-I and 2400 MW (3x800 MW) in Phase-II, it said in a statement. The project is being set up in the available land in the premises of NTPC’s existing Ramagundam station. An investment approval of Rs 10598.98 crore has been accorded for the project. The AP Reorganisation Act 2014 mandates that NTPC shall establish a 4000MW power facility for the newly carved-out state of Telangana. Ministry of Coal last year allotted Mandakini-B coal mine in Odisha to NTPC for the 4000 MW Telangana STPP. As an interim arrangement till the development of this mine, tapering coal linkage for Telangana Phase-I (2X800 MW) shall be provided from WCL, the statement added. Governor of Telangana and Andhra Pradesh E S L Narasimhan, Telangana Chief Minister K Chandrashekar Rao, Union Minister of State Power, Coal, New & Renewable energy and Mines, Piyush Goyal and Union Minister of State for Labour and Employment, Bandaru Dattatreya are among those expected to be present on the occasion tomorrow.